In this week's Abundance Insider: Bioreactor-packed bricks, the latest placenta-on-a-chip, and two cutting-edge water filtration approaches. What it is: Nikolas Bentel has just released Aerochromics, his latest line of sensor-enabled clothing. The collection's three shirts each contain environmental sensors that transform in different ways when they come into contact with pollution or radiation. One shirt turns black when it detects carbon monoxide, while the second heats up and changes color in the presence of dust, smoke or other particle-based pollution. The third shirt has chemical process indicator dye that alters its hue upon exposure to electron beam or gamma radiation. 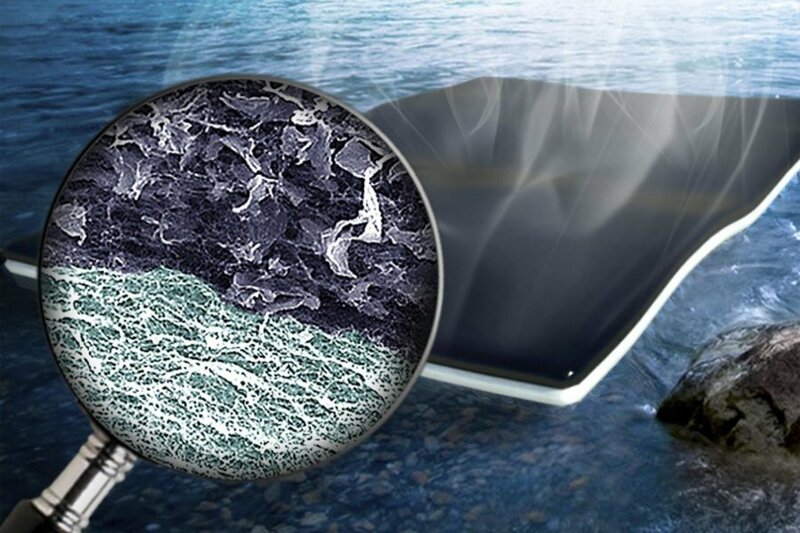 What it is: A team of materials scientists at Washington University in St. Louis have developed a light, inexpensive and scalable water filtration solution that uses sheets made of graphene oxide and bacteria-produced cellulose. "The cellulose at the bottom of the bi-layered biofoam acts as a sponge, drawing water up to the graphene oxide where rapid evaporation occurs," explains Futurity. "The resulting fresh water can easily be collected from the top of the sheet." 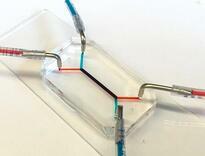 What it is: University of Pennsylvania researchers have developed a placenta-on-a-chip that fully models nutrient transport across the placental barrier -- the first of its kind. "The flash-drive-sized device contains two layers of human cells that model the interface between mother and fetus," explains the press release. "Microfluidic channels on either side of those layers allow researchers to study how molecules are transported through, or are blocked by, that interface." What it is: In 2008, Israel was in a severe water shortage, and built a series of desalination plants in response (including the Sorek seawater reverse osmosis facility, which is the world's largest of its kind). Today, Israel's water conservation and desalination measures have enabled it to exceed its water needs -- taking the country from water scarcity to water surplus. What it is: Beta Bionics has become the first company to raise $1 million in regulation crowdfunding -- the 12-month maximum under the new JOBS Act rules -- for its "artificial pancreas" for diabetes, with 775 backers putting up an average of $1,300 each on Wefunder. Beta Bionics' device iLet reads glucose levels in diabetics' implanted sensors, automatically pumping insulin into the body without human intervention. What it is: Scientists at the University of the West of England at Bristol have developed smart bricks that can turn skyscrapers and other public buildings into sustainable, efficient spaces. As UWE Bristol reports, the bricks contain bioreactors packed with microbial fuel cells that can sense and respond to their surroundings, clean dirty water, generate electricity, reclaim phosphate and produce new detergents. What it is: The University of Pennsylvania's recently published research about Kickstarter outlines some staggering statistics. The crowdfunding platform has created over 300,000 jobs, some 8,800 new nonprofits and companies, and generated entrepreneurs and their communities a whopping $5.3 billion in direct economic impact, as Digital Trends reports. Another tidbit from the study: 82 percent of the organizations that launched via Kickstarter are still in operation. What it is: Amazon has just inked a deal with the U.K.'s Civil Aviation Authority that lets the retail giant test its package-delivering drones on British soil. "We want to enable the innovation that arises from the development of drone technology by safely integrating drones into the overall aviation system," said Tim Johnson, CAA Policy Director. "These tests by Amazon will help inform our policy and future approach." At Abundance 360, Peter's 250-person executive mastermind, we teach the metatrends, implications and unfair advantages for entrepreneurs enabled by breakthroughs like those featured above. The program is highly selective and we're almost full, but we're still looking for a few final CEOs and entrepreneurs who want to change the world. You can apply here.